A Dole Whip A Day: Disneyland Fast Facts: Part 3! Disneyland Fast Facts: Part 3! We amazed you the first time. We dazzled you the second time. Now, get ready for our third edition of Disneyland Fast Facts! 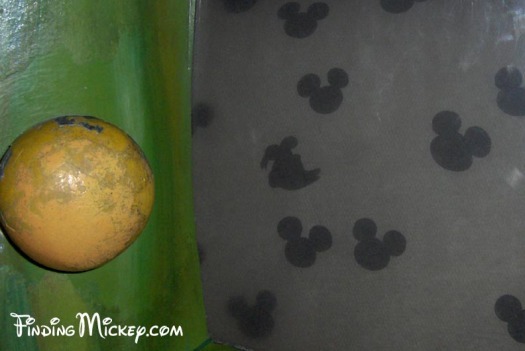 By this point, we all know about Hidden Mickeys all over the parks, right? But did you know that there's a "Hidden Walt" in New Orleans Square? 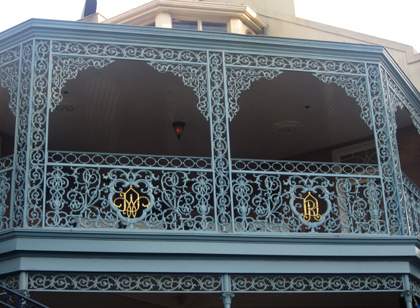 To the right of the Pirates of the Caribbean entrance, look up at the balcony of the Dream Suite. You'll see WD and RD in the iron work. It's Walt and Roy Disney's initials! 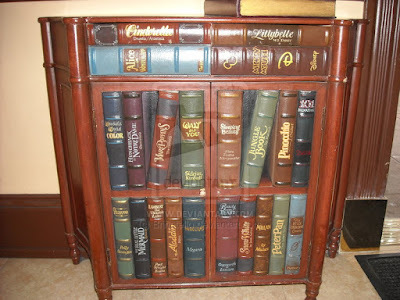 Take a peek inside Mickey's player piano at his house. Donald is hiding out with all the Mickey heads!! 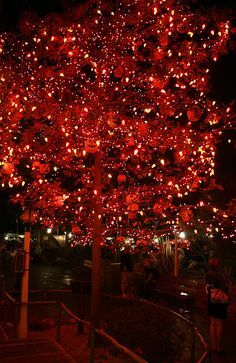 You can find this wonderful tree decorated in little jack-o-lanterns and orange lights in Frontierland during Halloween Time. The tree was first introduced back in 2007, based on Ray Bradbury's book The Halloween Tree. Bradbury was a close friend of Walt Disney and even worked as an Imagineer designing the Astro Orbitor at Disneyland (and its nearly identical Orbitron in Disneyland Paris) and Spaceship Earth at EPCOT in Disney World. While we're thinking about Halloween, have you ever noticed all of the jack-o-lanterns decorating Main Street during Halloween Time? There are hundreds of unique, hand carved pumpkins all along the shop signs. My personal favorite? Elvis! One of the common "secrets" of Disneyland is Jingles, the lead carousel horse that was dedicated to Julie Andrews during the 50th Anniversary celebration. But how many of you know about Doubloon? He was Lillian Disney's favorite. There are some contradictory reports, so either he was her favorite because of his gold tooth or they painted his tooth gold to help her spot him easily. Either way, do yourself a favor and ride on Doubloon on your next trip while everyone else is rushing to Jingles. Next time you find yourself in City Hall, take a peek around. There's an amazing bookshelf full of fun Disney surprises. 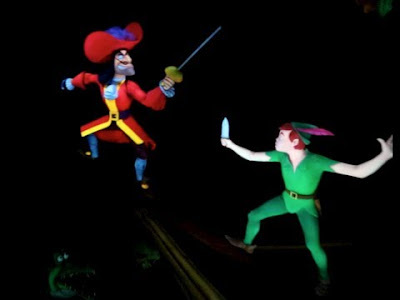 Who doesn't love Peter Pan's Flight? (Well, actually, me. But that's another story!) People flock to this attraction first thing in the morning and the line doesn't let up until the end of the day. But how many people have noticed this huge error in the ride's design: Captain Hook's hook is on the wrong hand! The hook should be on the left, but in both places that Hook appears in the ride, its on the right! Have you ever watched the series of Mater's Tall Tales? If you haven't, they're on Netflix and they're super cute! If you have, take a close look next time you're waiting in line for Mater's Junkyard Jamboree. 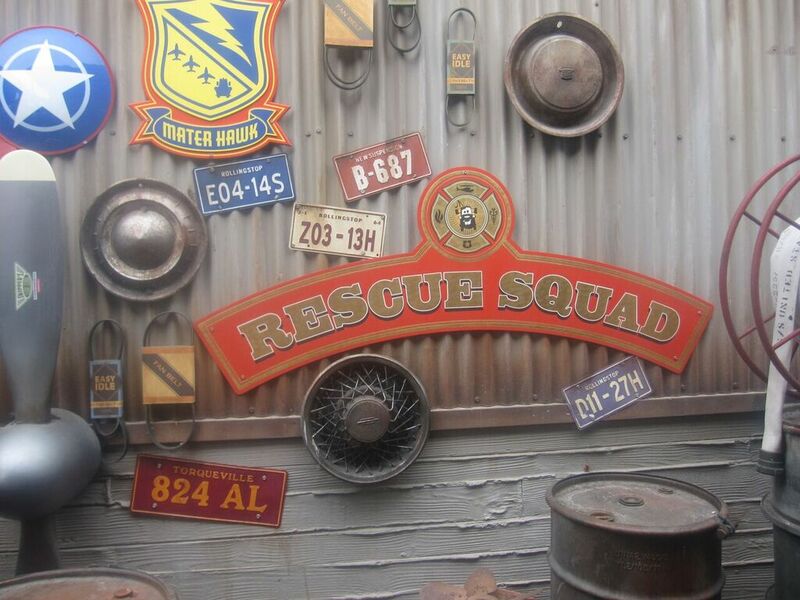 All of Mater's adventures are represented. 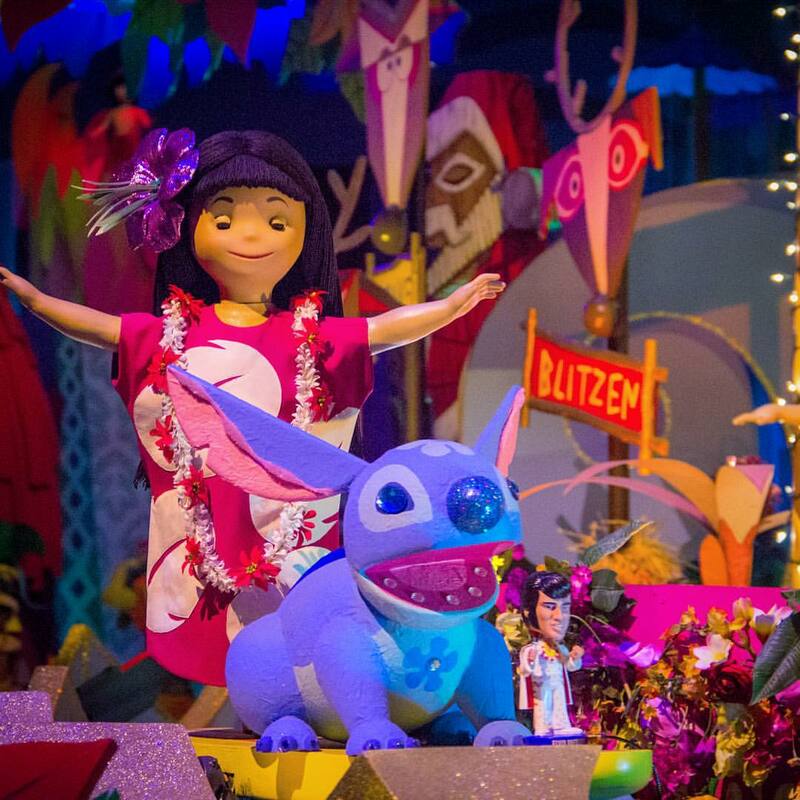 If you're visiting Disneyland during the holidays, take a ride on Small World. Elvis makes a special appearance on Lilo and Stitch's surf board. 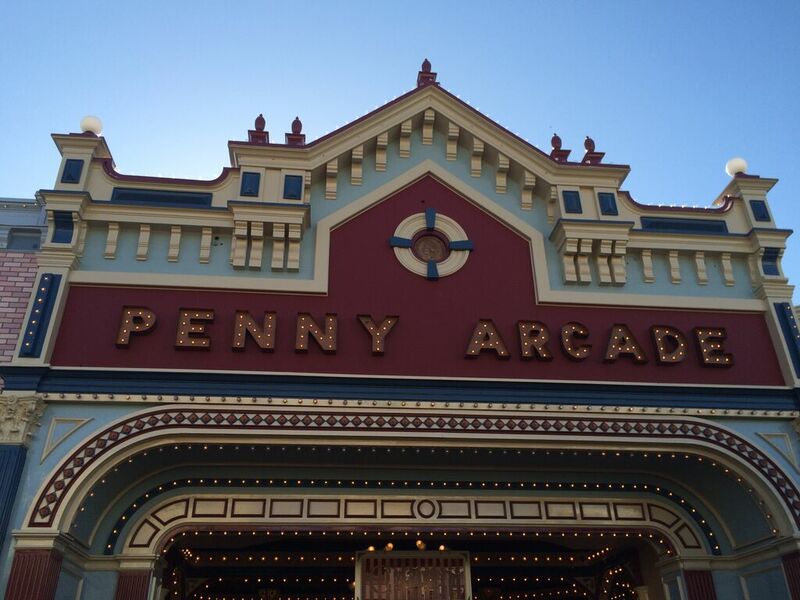 Next time you're strolling down Main Street (or rushing to make your fast pass time, whatever), look up at the Penny Arcade sign. 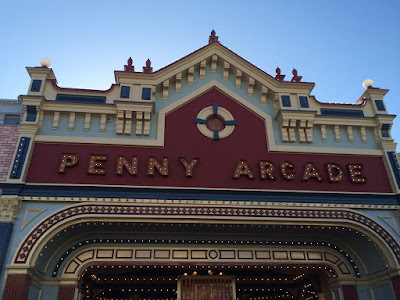 The penny (in the white circle) above the lettering is an "Indian Head" penny dated 1901 for the year Walt Disney was born.